Discover the city situated in the very heart of Europe with one of the largest castle areas. Professional tour guides give you a professional presentation and show you the most important sights. Later on, have a break in a traditional café, and enjoy the view of the Prague Castle while drinking a cup of delicious coffee or tea and eating an irresistible dessert. Get in touch to create an individual program of one or more days according to your wish – the Old Town, the Art Nouveau architecture, the Jewish Town or the modern architecture. We also arrange tickets for a concert, theatre, opera or ballet performances. 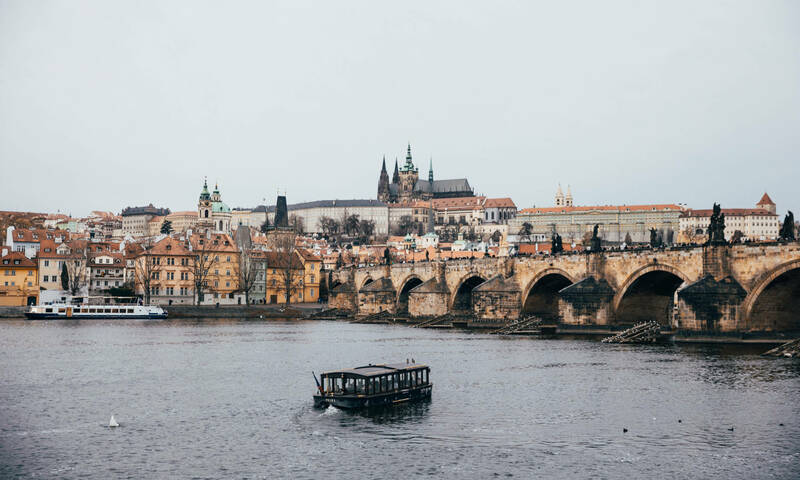 The Czech Republic is not just Prague with all its beauty. Visit one or more of UNESCO sites in the Czech Republic. Discover the cultural heritage of Český Krumlov, Telč or Kutná Hora. We will show you the fairy-tale Lednice-Valtice cultural landscape or the majestic Gothic church in Ždár nad Sázavou. The Czech Republic has many faces. Were you rather interested in the rawness of nature in the north or in the romantic south? Or a guided tour of Moravian wine cellars connected with wine tasting and folklore program? We guarantee transport in comfortable coaches, and breaks and refreshments in certified restaurants. Would your choir like to visit our country, discover what it has to offer and at the same time hold your own performance? We have long-standing experience in this field. We arrange performances in beautiful ancient Prague churches with great acoustics. We guarantee the audience. And if you wish, you can have a joint performance with Czech choirs. We organize programs for schools according to your specifications or a subject of your students. Spoil yourself with relaxation in famous spa centers. You will be surprised by the low prices for which you get excellent service comparable with more expensive centers around the world. Whether you have health problems, or you just long for rest, we know where to find the right place for you. If you really want to taste Czech beer – then with us. Come for an excursion of famous breweries and classical pubs. We will not omit any important beer trade mark and you become an expert on the local hop treasure. You can also try out various unusual beer tastes – lemon beer, cherry beer etc. The Czech capital seen from the bird´s eye view will surprise you with the number of towers and spires that rise above the Prague roofs. That is why Prague is called a city of a hundred spires. Visit many architectonic jewels such as Petřín Lookout Tower (the “Prague’s Eiffel Tower”), Powder Tower, Old Town Hall tower (with famous astronomical clock), Malá Strana Bridge tower, or belfry of St Nicholas Church in Malá Strana. Our guides wear costumes of the period. Optionally, enjoy the view at night, when it is beautifully illuminated.